Note: Offers on the asking price may be considered. 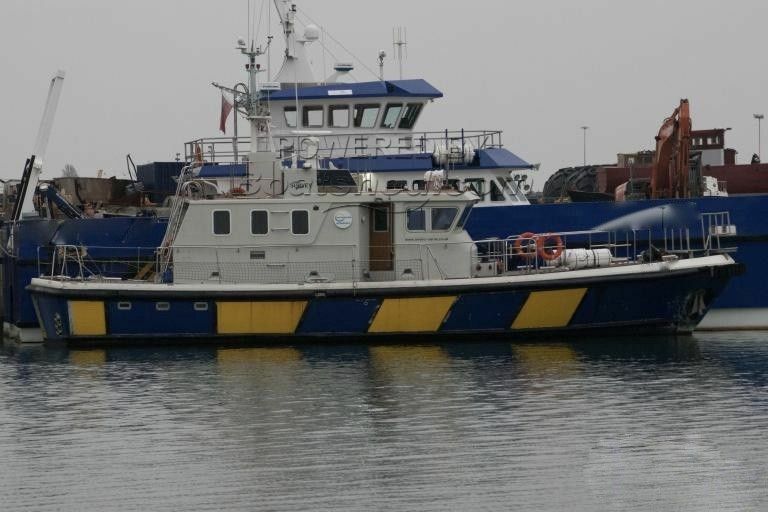 This the archetypal workboat, the Cheverton have rightly gained a reputation , as working boats and this multi role example suitable as a Wind Farm Support Vessel, Dive, Survey or Guard vessel is a prime example. Refitted and updated since her original build date, seating and facilities for 14 personnel. She has two heads and showers, crew berths and a fully fitted Galley. Powered by twin Caterpillar 3406 each producing a massive 550 hp driving through quick shift transmissions to fixed props. This vessel will fulfil any role demanded of her and is fully turn key ready for duty. This Windfarm Service VESSEL GRP has been personally photographed and viewed by a representative of Commercial Boat Sales. Click here for contact details.